Completely redefine your next burger by putting the cheese on the inside. 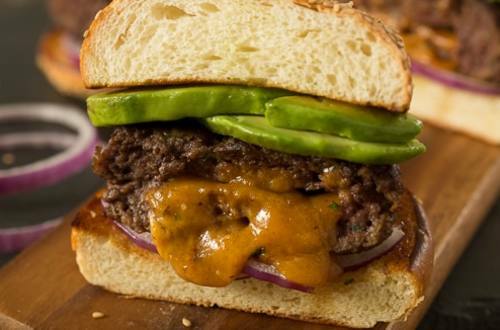 Our Cheddar Stuffed Burgers recipe guarantees a cheesy eruption with every bite. 1 Combine ground beef, cilantro and Knorr® Beef flavor Bouillon in large bowl; shape into 8 patties. Place 2 tablespoons cheese in center of 4 patties. Top with remaining patties and seal edges tightly. 2 Grill or broil to desired doneness. Serve on hamburger buns with avocado and onion.